Saskarc Group is a group of companies including Saskarc Industries, Axiom Equipment Group, Avro GSE, and Safesmart Access. 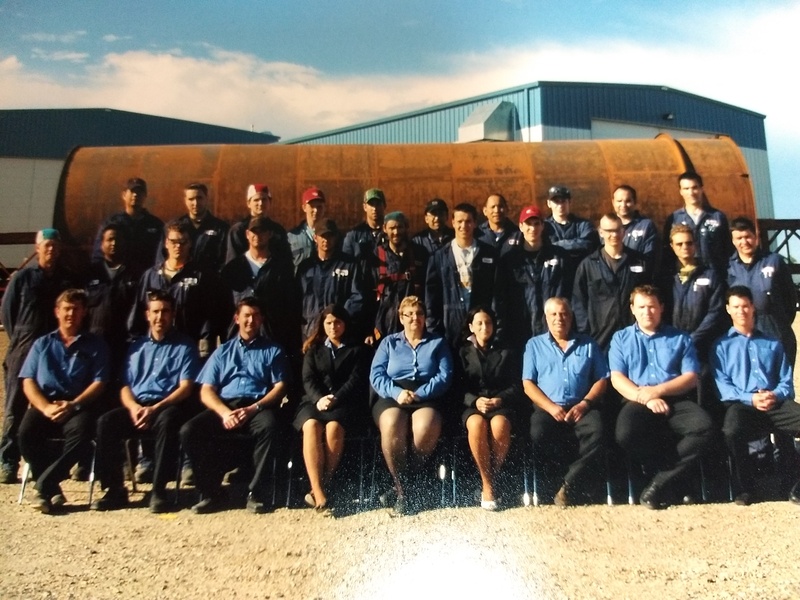 Based in Oxbow, Saskatchewan and lead by executive team - Brent Scott, Lorne Loughran and Dave Zwicker. 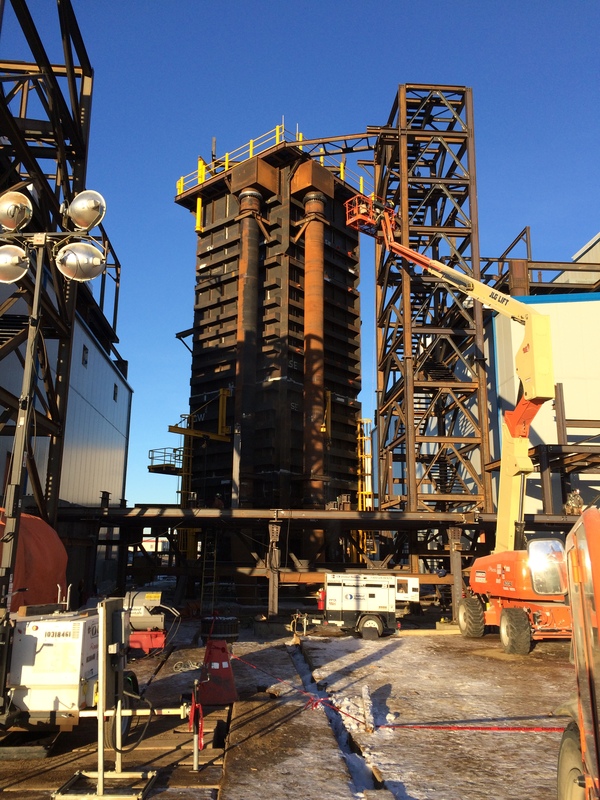 In nearly 30 years of operation, Saskarc Industries has forged a solid reputation as an industry-leading modular metal fabricator and equipment supplier in Western Canada. 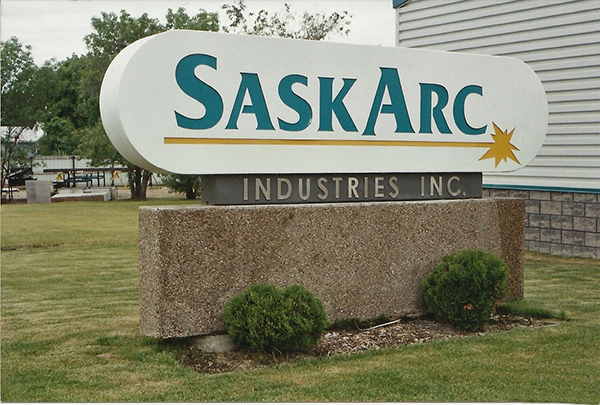 This reputation, along with forward-thinking leadership and strong working relationships, has allowed Saskarc Industries to expand into the Saskarc Group which includes Saskarc Inc., Axiom Equipment Group, Avro GSE and SafeSmart Access. Our values form the foundation of our business and guide our interactions with our customers, suppliers, investors and employees. We make safety a top priority in everything we do. Fairness, honesty and trust mark every relationship inside and outside of the company. Company wide, we are solidly committed to giving our best to every customer, employee and supplier. 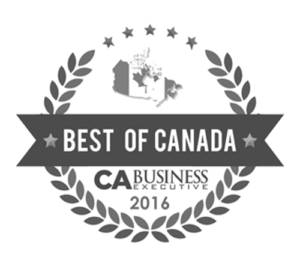 The business as a whole will function as a team to develop and maintain the highest levels of expertise and quality in every area. We will have an atmosphere that promises enthusiasm and passionate effort to meet each challenge and achieve success. We commit to excellence through ongoing systems development to ensure profitability and superior solutions for our customers. 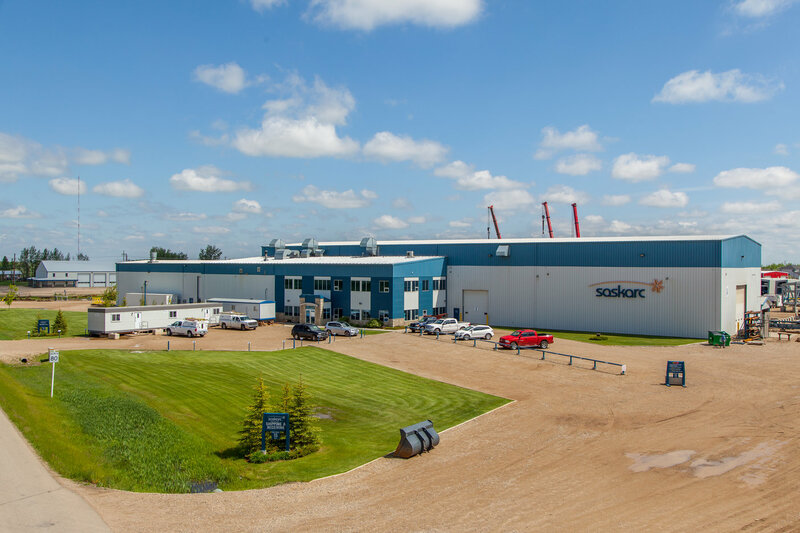 Saskarc expands and moves to a new facility in the town of Oxbow. 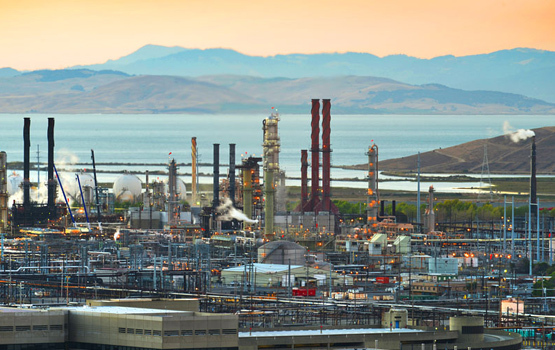 Saskarc becomes an international manufacturer, shipping fabrications to the Unites States for power stations. Saskarc expands once again to a large modern facility with 14 acres of yard laydown storage space and an area for blasting and painting. Saskarc Fabrication assembly shop is built to meet the growing project demands bringing the total square footage at Saskarc to 52,000 with 6 overhead cranes. Saskarc performs its first project as an EPC which included engineering, fabrication and on-site installation. 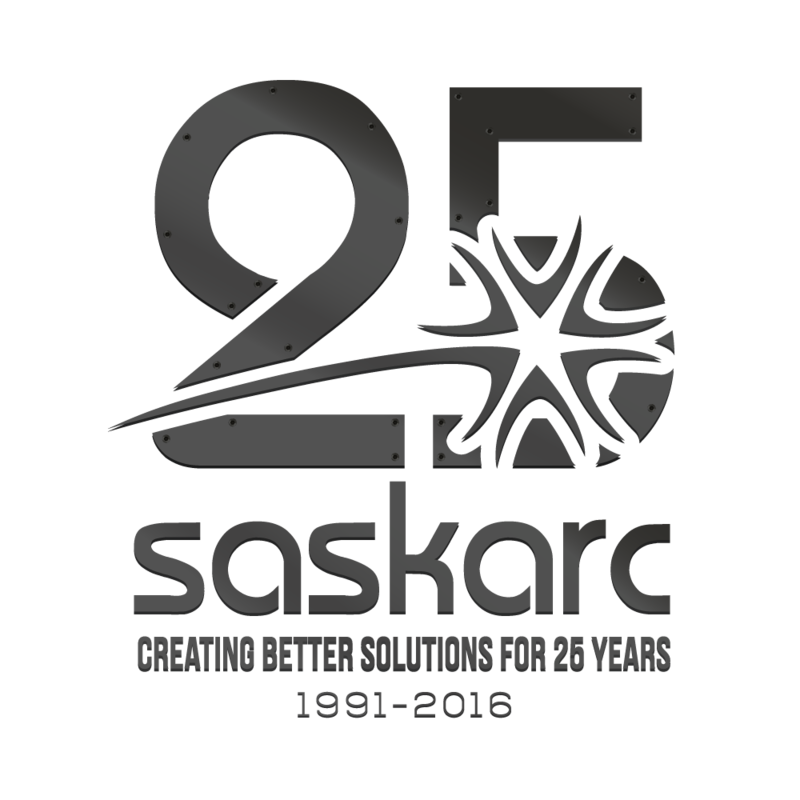 Saskarc Industries celebrates 25 years! Saskarc Equipment merges with Axiom Lift Equipment to form Axiom Equipment Group. Axiom engineers the Almax Service body, a unique aluminum service body for a large customer. Saskarc becomes a welding company. 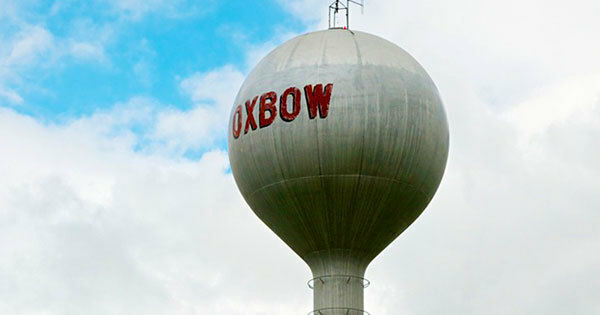 Work is carried out in a facility 2 miles out of Oxbow, Saskatchewan. Saskarc becomes a corporation. An addition was added to the current facility to provide more room for project demands. Saskarc becomes an international manufacturer, shipping fabrications to the Unites States for power stations..
Saskarc Industries reaches 50 employees. 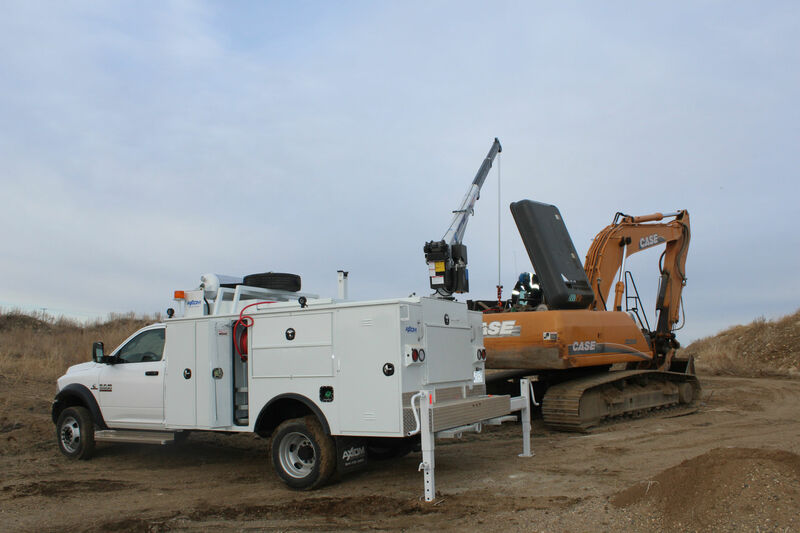 In order to better serve their industrial customers and deliver more value, Saskarc Equipment Group, specializing in site equipment sales and rentals, is formed. 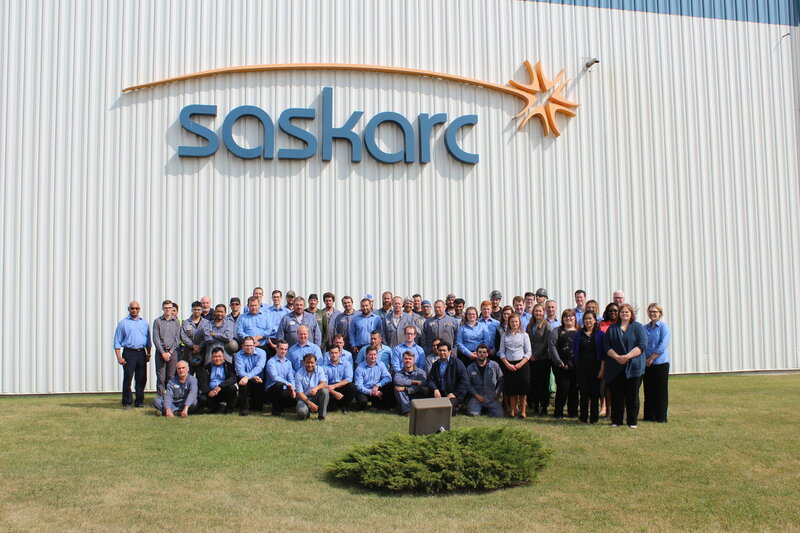 Saskarc reaches 100 employees. 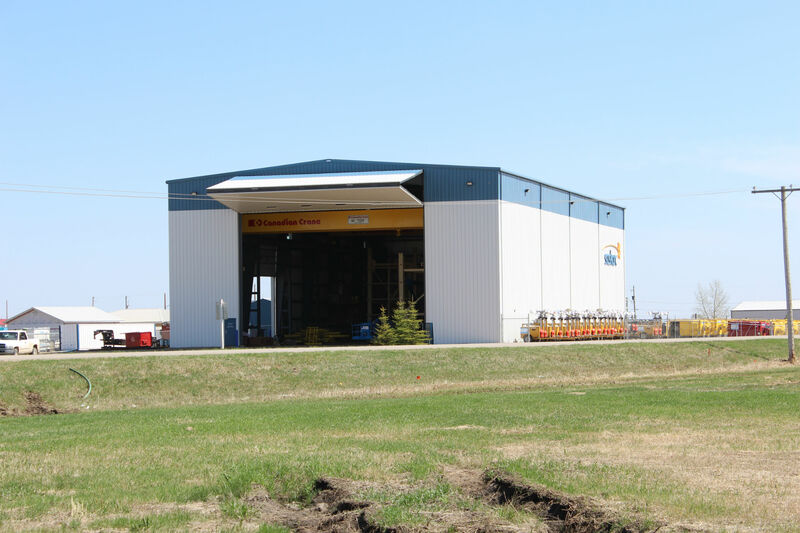 Saskarc Equipment Group opens a branch in Leduc, AB to better serve their Alberta customers. Saskarc Equipment becomes the official Canadian supplier of SafeSmart Access. Saskarc identifies a gap in the aviation industry and forms Avro GSE, a ground support equipment supplier with a strong emphasis on fleet tracking and managed maintenance. The company is restructured, and Saskarc Group is formed acting as a parent company to its subsidiaries, Saskarc Inc, Axiom Equipment Group, Avro GSE and SafeSmart Access. © 2018 Saskarc Industries. All rights reserved.